Canadian Hockey League: 2017-18 CHL location-map, including 2016-17 attendance chart with titles listed. By Bill Turianski on 27 May 2017; twitter.com/billsportsmaps. -Ontario Hockey League 2016-17 Attendance Graph. -Quebec Major Junior Hockey League 2016-17 Attendance Graph. -Western Hockey League 2016-17 Attendance Graph. Below are the 12 teams in the CHL that were best at filling their arena, in 2016-17. (Best Percent-Capacity, or: Average Attendance divided-by Seated Capacity.) 7 of these teams are in the OHL. 3 of these teams are in the WHL. 2 of these teams are in the QMJHL. The top 2 played to SRO (standing-room-only)…the Rouyn-Noranda Huskies of the QMJHL, and the Oshawa Generals of the OHL. #1). Rouyn-Noranda Huskies (QMJHL): 103.6 percent-capacity (2,228 per game in their 2,150-capacity arena [ie, 78-standing-room-only-customers-per-game]). #2). Oshawa Generals (OHL): 100.5 percent-capacity (5,209 per game in their 5,180-capacity arena [ie, 29-standing-room-only-customers-per-game]). #3). London Knights (OHL): 99.5 percent-capacity (9,003 per game in their 9,046-capacity arena). #4). Kitchener Rangers (OHL): 98.3 percent-capacity (7,015 per game in their 7,131-capacity arena). #5). Kelowna Rockets (WHL): 93.7 percent-capacity (5,162 per game in their 5,507-capacity arena). #6). Niagara IceDogs (OHL): 90.6 percent-capacity (4,804 per game in their 5,300-capacity arena). #7). Barrie Colts (OHL): 88.4 percent-capacity (3,709 per game in their 4,195-capacity arena). #8). Guelph Storm (OHL): 86.1 percent-capacity (4,063 per game in their 4,715-capacity arena). #9). Shawingan Cataractes (QMJHL): 85.9 percent-capacity (3,545 per game in their 4,125-capacity arena). #10). Regina Pats (WHL): 84.1 percent-capacity (5,456 per game in their 6,484-capacity arena). #11). Owen Sound Attack (OHL): 82.8 percent-capacity (2,898 per game in their 3,500-capacity arena). #12). Prince Albert Raiders (WHL): 82.6 percent-capacity (2,133 per game in their 2,580-capacity arena). -List of Memorial Cup champions/Tournament appearances by current CHL teams. -OHL/ J. Ross Robertson Cup. 2017 CHL Memorial Cup tournament (in Windsor, Ontario/ May 19 to May 28) – the 4 teams: Windsor Spitfires (host team), Erie Otters (OHL), Saint John Sea Dogs (QMJHL), Seattle Thunderbirds (WHL): photo-illustrations with standout players in 2016-17. By Bill Turianski on 17 May 2017; twitter.com/billsportsmaps. -2017 CHL Memorial Cup (en.wikipedia.org). 2017 Memorial Cup Teams Preview (by David Jewell on Wednesday May 17 2017 at thehockeywriters.com). Windsor Spitfires logos/info via sportslogos.net/Windsor_Spitfires. Windsor home jersey, illustration from sportslogos.net/Windsor_Spitfires. Night-time shot of downtown Windsor with Detroit skyline in background, photo by Owen Wolter at flickr.com via windsorite.ca. View of Windsor skyline, photo by Tim Fraser/Windsor Star via windsorstar.com. Exterior-shot of WFCU Centre, photo from citywindsor.ca. Interior-shot of WFCU Centre [ca. 2009], photo by Kevin Jordan at ohlarenaguide.com/spitfires. Players…Jeremy Bracco, photo by Tim Jarrold at inplaymagazine.com/windsor-spitfires-vs-saginaw-spirit-february-23 . Mikhail Sergachev, photo by Claus Andersen/Getty Images via gettyimages.com. Michael DiPietro, photo by Jason Kryk/Windsor Star at windsorstar.com/hockey. Erie Otters (OHL champions in 2017). From The Hockey Writers.com, Celebrating the Erie Otters’ OHL Championship (by Mark Scheg on May 13 2017, at thehockeywriters.com). Otters’ jersey illustration, from sportslogos.net/Erie_Otters. 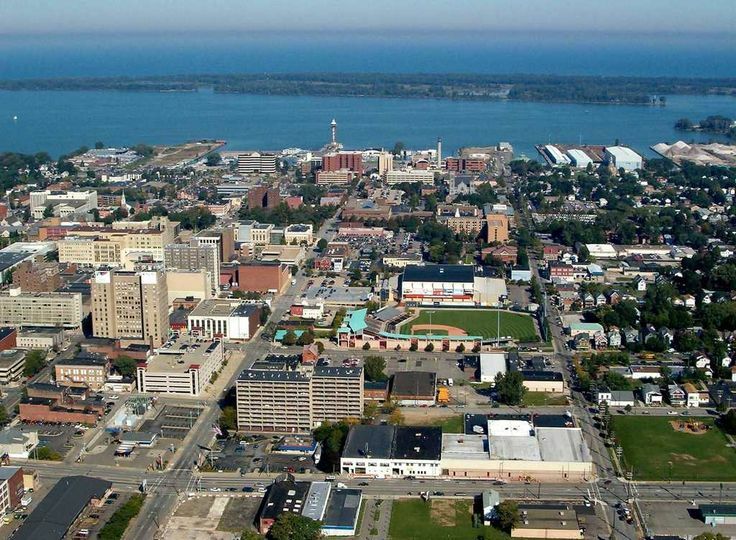 Erie (aerial shot), unattributed at pinterest.com. Erie Insurance Arena, photo from goerie.com jpg. Game-action photo, by MountaindewPSU at aviewfrommyseat.com/Erie+Insurance+Arena/section-119/row-E/seat-2. Players: Dylan Strome-3AZ, photo by Terry Wilson/OHL via sportsnet.ca. Alex DeBrincat-39Chi, photo by Keith Dotson/OHL at ontariohockeyleague.com jpg. Taylor Raddysh-58Tam, photo by Vaughn Ridley/Getty Images North America via zimbio.com. Anthony Cirelli-72TB, photo by Claus Anderson at gettyimages.com. Darren Raddysh-un, photo by Aaron Bell/OHL Images via ohlwriters.me jpg. Warren Foegele, photo by Dave Mead Photography via ontariohockeyleague.com. On-ice post-game celebration, photo by Dan Hickling/OHL Images via ohlwriters.me. Anthony Cirelli holds Robertson Trophy aloft, photo by Greg Wohlford/ETN at goerie.com/sports/champions-otters-win-ohl-title-on-cirellis-ot-goal. Erie players celebratory pose, photo by Dan Hickling/OHL Images via chl.ca/erie-otters-are-2017-ohl-champions jpg. Saint John Sea Dogs (QMJHL champions in 2017). From CHL.ca, Saint John Sea Dogs are 2017 QMJHL Champions (chl.ca on May 11 2017). Sea Dogs jersey, photo from saintjohnseadogs.com/adult-replica-jersey-blue; illustration from sportslogos.net/Saint_John_Sea_Dogs. Saint John near arena, photo by Jaroslaw Binczarowski File:Stjohnpanoramo.jpg (commons.wikimedia.org). Harbour Station, photo by Andrew Touchakis Photography from facebook.com/Harbour-Station. Saint John skyline at twilight, photo by DDD DDD~commonswiki at File:Saint_John,_NB,_skyline_at_dusk5.jpg (commons.wikimedia.org). Players: Mathieu Joseph, photo from sjseadogs.com. Matthew Highmore, photo by François Laplante/FreestylePhoto/Getty Images North America via zimbio.com. Thomas Chabot , photo unattributed at stationnation.blogspot.com. Callum Booth, photo from twitter.com/SJSeaDogs. Team photo after title-win, photo by Vincent Ethier/LHJMQ Média at theqmjhl.ca/sea-dogs-crowned-presidents-cup-champs-again. Seattle Thunderbirds (WHL champions in 2017). From the Seattle Times, Seattle Thunderbirds beat Regina in OT to take WHL title (seattletimes.com/sports on May 14 2017). Thunderbirds’ jersey illustration, from sportslogos.net/Seattle_Thunderbirds. Aerial shot of Kent, WA with Mt. Rainier in background, photo from City of Kent, Washington at Linkedin.com. ShoWare Center, two exterior-shots, photos by Lara Swimmer at djc.com. Players: Keegan Kolesar, photo by Doug Westcott via eliteprospects.com. Mathew Barzal, photo unattributed at alchetron.com/Mathew-Barzal. Ethan Bear, photo from seattlethunderbirds.com/ethan-bear-named-chl-player-of-the-week.Carl Stankowski, photo from seattlethunderbirds.com. Alexander True scoring winner in OT, photo by Keith Hershmiller at kentreporter.com/thunderbirds-rally-capture-first-whl-crown-with-dramatic-ot-win-at-regina. On-ice celebration, photo by Troy Fleece/Regina Leader-Post via seattletimes.com/sports/seattle-thunderbirds-beat-regina-in-ot-to-take-whl-title. -Quebec Major Junior Hockey League. -Thanks to The Hockey Writers.com site, now on my blogroll, at thehockeywriters.com. -Thanks to the fine site known as Elite Prospects.com (Hockey Prospects), for player info…eliteprospects.com. Australian rules football – the Australian Football League (AFL), 2017 location-map, with map showing all venues (17 venues) for 2017 AFL season; plus 2016 attendance figures & titles list./+ Illustration for the 2016 Grand Final champions – Western Bulldogs. By Bill Turianski on 5 May 2017; twitter.com/billsportsmaps. [from April 2015] Australian rules football – the Australian Football League (AFL), 2015 location-map with: rules (in general), clubs-history-chart, and chart of 2014 attendances with titles listed./ Plus: 2014 champions the Hawthorn Hawks. Photo and Image credits above – Jason Johannisen, photo by Tim Carrafa at heraldsun.com.au/sport. Tom Boyd, photo by Getty Images via pinterest.com. 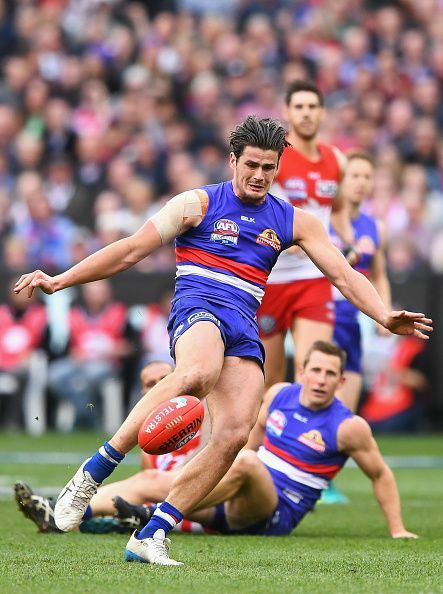 Liam Picken, photo by Graham Denholm/Fairfax Media via standard.net.au. Tory Dickson, photo by Alex Coppel at theaustralian.com.au/sport. Shot of clinching goal celebration, photo by Phil Hillyard at heraldsun.com.au/sport. Australian rules football – the Australian Football League (AFL), 2017 location-map, with map showing all venues for 2017 AFL season; plus 2016 attendance figures & titles list. A). Club colours, crest & jersey-pattern. B). Premiers (titles), with year of last premiership. The most-titled clubs in the AFL are the Essendon Bombers and the Carlton Blues, both of whom have won 16 Premiers (but neither has been AFL champion since 2000). C). Australian state that the team is located in (10 teams from Victoria; and 2 teams each from: New South Wales, Queensland, South Australia, Western Australia). D). Year-of-establishment as an AFL team (with Melbourne-to-Sydney franchise-move [of 1981-82] noted). E). Seasons in the VFL/AFL [2017 will be the 121st season of the VFL/AFL). F). Premiers-per-season percentage [Premiers (Titles) divided by seasons]. The best percentage is owned by the Brisbane Lions (who have won a Premier every 6.67 seasons) followed by the Hawthorn Hawks (a Premier won every 7.14 seasons), then the Essendon Bombers (a Premier won every 7.37 seasons), then the Carlton Blues (a Premier won every 7.5 seasons), then the Collingwood Magpies (a Premier won every 8 seasons). From the Australian Football League page at Wikipedia…“Throughout the history of the VFL/AFL, there have been a total of 42 different grounds used…/…The largest capacity ground in use is the Melbourne Cricket Ground (MCG), which has a capacity of over 100,000 people, and hosts the Grand Final each year. The MCG is shared by five [of the 10 Melbourne] teams as a home ground, whilst the other grounds used as home venues by multiple teams are Docklands Stadium in Melbourne [four of the 10 Melbourne teams primarily], Adelaide Oval in Adelaide [both Adelaide-based teams], and Subiaco Oval in Perth [both Perth-based teams]. The AFL has had exclusive ownership of Docklands Stadium (commercially known as Etihad Stadium) since late 2016.” (excerpt from en.wikipedia.org/Australian Football League/Venues). I have expanded the original location-map I made 2 years ago by including all venues – 17 venues – that will host regular-season games in the 2017 AFL season. (You can also see 16 of the 17 venues at the following link at Wikipedia: venues used during the 2017 AFL season.) Included in that list of venues is a stadium in Shanghai, China: the 25,000-capacity Jiangwan Stadium, which will be re-configured to host Aussie rules football with a temporary-15-K-capacity, and will host a regular-season AFL match between the Port Adelaide Power and the Gold Coast Suns, on 14 May 2017. -See this, Port, Suns to face off in Shanghai in round eight clash (by Dinny Navaratnam on 16 Oct. 2016, from afl.com.au). -Also see this, Beating NFL and NBA to the punch: Port Adelaide bring real AFL deal to Shanghai (by Sam Agars on 3 Feb. 2017, from the South China Morning Post at scmp.com). Aside from AFL regular-season games played previously in New Zealand, this will be the AFL’s first overseas regular-season match [ie, outside of Austalasia]. And, as pointed out in the article from the South China Morning Post linked-to above, the AFL match in Shanghai in May 2017 will be the first regular-season game played in China by any foreign professional league. In other words, the Australian Football League has beaten the NFL and the NBA (and the Premier League, for that matter), in being the first foreign major league to play a regular season game in the potentially-vastly-lucrative market that is China. The Hawthorn Hawks and the North Melbourne Kangaroos both play a considerable percentage of their home regular-season games in the State of Tasmania (which is the southern-most of the 6 Australian States, and is an island located 240 km (150 mi) to the south of the Australian mainland). For 17 years now (since 2001), the Hawthorne Hawks have played some of their regular-season home matches in Launceston, Tasmania (which has a population of only around 86,000). There, Hawthorn play at York Park [aka the University of Tasmania Stadium], which has a capacity of 21,000. These days Hawthorn play four of their eleven home regular-season matches there. If Hawthorne played all their home matches at the Melbourne Cricket Ground (and not just 7 of their 11 home matches at the MCG), they would probably draw at-or-near-to the highest in the AFL. Because when you do the math, the 13.8 K per game they drew in Launceston, Tasmania last season depressed Hawthorne’s average attendance to the point that they were actually drawing highest in the league – on average – for their Melbourne home matches at the Melbourne Cricket Ground (they averaged 49.6 K at the MCG, a figure which is about 2.6 K higher than the 47.0 K that the top-drawing Adelaide Crows drew in 2016). Tasmania Tourism is also a major sponsor of the Hawthorne Hawks (as you can see in the jersey-photo below, with “Tasmania” emblazoned prominently on the Hawks’ gear). Photo credits above – Photo of Launceston, Tasmania unattributed at realestate.com.au/neighbourhoods/launceston-tas. Photo inside York Park, Launceston, Tasmania for Hawthorne Hawks match, photo by city of Launceston at launceston.tas.gov.au/Events/AFL-2017-Hawthorn-v-Brisbane. Hawthorne 2017 jersey, photo from jerseys.com.au/products/hawthorn-hawks-2017-home-guernsey. Since 2012, the North Melbourne Kangaroos have played three of their eleven home regular-season matches in the Tasmanian capital-city of Hobart (the population of Greater Hobart is around 221,000). There, North Melbourne play at the Bellerive Oval, which has a capacity of 20,000. -The Melbourne Demons play two of their eleven home regular-season matches in the sparsely-populated Northern Territory, with one match in Darwin, NT and one match in Alice Springs, NT. -Since 2014, the Western Bulldogs have been playing one of their eleven home regular-season matches in Cairns, York Peninsula, Queensland. Starting in 2017, the Western Bulldogs also will begin playing one other regular-season home match in a venue about 65 miles west of Melbourne, in Ballarat, VIC. -The newest AFL team, the Greater Western Sydney Giants, play three of their eleven home regular-season games in the Australian capital, in Canberra, ACT. In all but the latter of these alternate-home-venues mentioned above, the shift in venue means a considerable decrease in the teams’ average attendances. But the teams see the benefits of lucrative sponsorship deals and expanded team-support, and these things outweigh the ticket-revenue-shortfalls of the alternate-venues. And likewise, with respect to the game being played in China…if the match in Shanghai works out well for the Port Adelaide Power – and for the AFL in general – then it is very probable that a regular-season game in China will become an annual feature of the Australian Football League. -Dates of establishment: Australian Football League/Current clubs. -Titles: List of Australian Football League premiers. (en.wikipedia.org). -Rules: Australian rules football; Australian rules football playing field (en.wikipedia.org). -Thanks to Ssolbergj for globe-map of Australia, File:Australia (orthographic projection).svg (commons.wikimedia.org). -Thanks to NordNordWest for blank map of Australia, File:Australia location map.svg (en.wikipedia.org).’-Thanks to TUBS for blank map of China showing Shanghai, File:Shanghai in China (+all claims hatched).svg. -Jersey Icons…Thanks to thejoesbloggsblog for most of the jersey-pattern icons on the chart on the map page at Australian Football League/Current clubs (en.wikipedia.org). Thanks to the AFLstore for Western Eagles’ jersey-icon, theaflstore.com.au/west-coast-eagles. -Thanks to Port Adelaide FC’s twitter-feed, twitter.com/PAFC, for the article from the South China Morning Post. -For general historical info, thanks to australianfootball.com. -Thanks to the contributors at Australian Football League (en.wikipedia.org). -Thanks to AFL Tables site for attendances and for all-time list of AFL venues, afltables.com/afl/venues/overall.html.